The caring and experienced professionals at Kassly Mortuary are here to support you through this difficult time. We offer a range of personalized services to suit your family’s wishes and requirements. You can count on us to help you plan a personal, lasting tribute to your loved one. And we’ll carefully guide you through the many decisions that must be made during this challenging time. 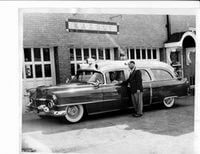 n 1906, John J. Kassly, Sr. opened the Kassly Funeral Home in East St. Louis, Illinois. The funeral home was located at the corner of Ninth Street and Exchange Avenue. It began as a sideline to the livery business established by the Lithuanian immigant and his wife, Agnes. At the turn of the century, East St. Louis, located directly across the Mississippi River from St. Louis, MO, was a bustling river town. Many newly immigrated citizens came to town because of the abundance of jobs available at the local stockyards, packing houses, river traffic and railroads. Mr. Kassly and his family had the privilege of serving many families from diverse ethnic cultures. At the time, the accepted tradition was for the wake and funeral service to held at the home. But as many homes became smaller and for other reasons, laying out a family member at home became less practical. Firms like Kassly Funeral Home began to build their own "homes for funerals" to prepare the bodies and offer more space for families to receive mourners. 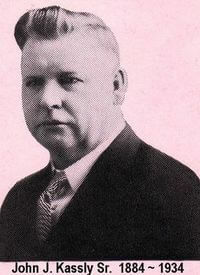 Following the death of their father in 1934, John J. Kassly, Jr and Joseph J. Kassly, Sr. continued to operate the family business. In addition to helping families with a loss of a family member, Kassly Funeral Home also provided the local community with ambulance service for those sick or injured. Kassly's also provided a special ambulance for premature infants for much of Southern Illinois. Many lives were touched by these humanitarian efforts. In 1971, John and Joe opened Kassly Colonial Mortuary in Fairview Heights. The mortuary located on St. Clair Avenue between St. Clair Square shopping mall and the Fairview Heights Metro Link station, includes quiet, serene woodlands and lakes which attracts birds, deer and other wildlife. Charles and James Kassly, along with their professional staff, continue the long family tradition of helping local families at their time of need. The Kassly family has adopted "Kassly Mortuary, Ltd." as their name because they serve the families in so many different ways. In addition to at-need funeral arrangements, the mortuary offers pre-arranged funeral services, with licensed funeral directors to answer your questions. The Kassly family does not disappear following the funeral, bereaved families are contacted to see how we can be of further assistance. 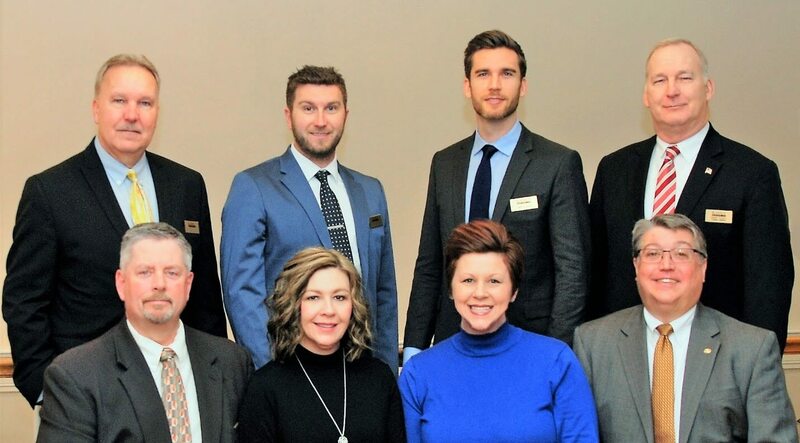 The Kassly Mortuary is, and will remain, family-owned and operated because of their belief that a funeral director must put a bereaved family needs above the needs of stockholders or the corporate office.